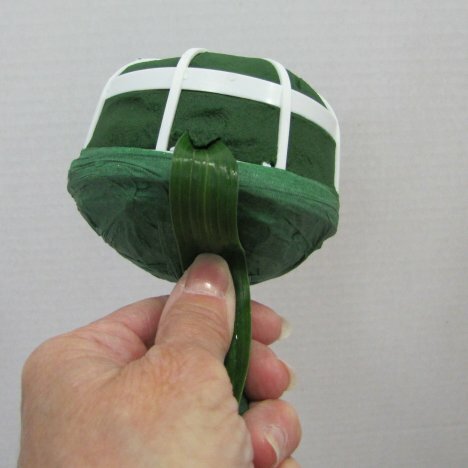 I showed you in an earlier step how you could conceal the underside of a bouquet with salal leaves. 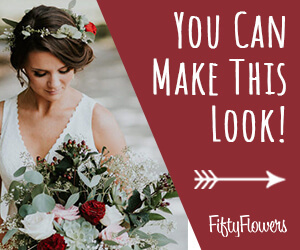 Here is another alternative that I used for this actual bridal bouquet. 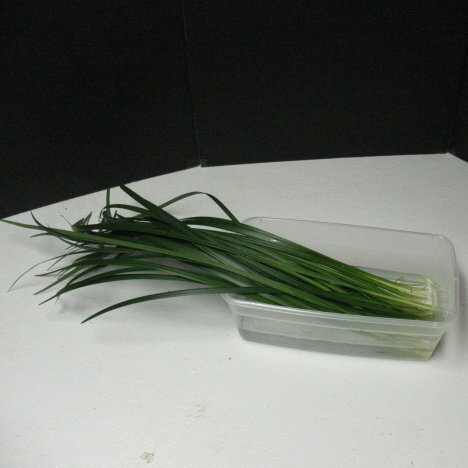 I start with lily grass, which I kept hydrated by lying down in a container of water NOT treated with flower food. 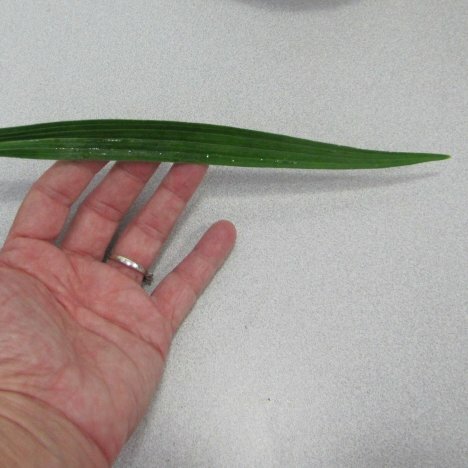 I don't need the entire blade of grass, just the the portion shown below. 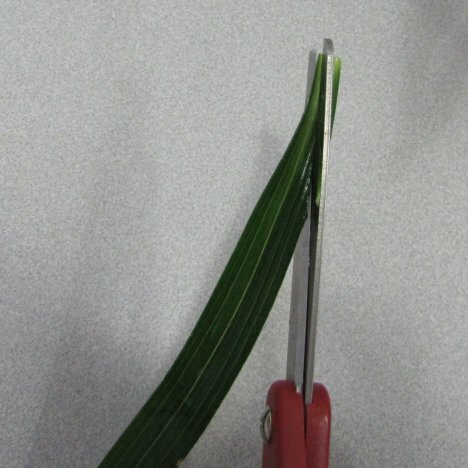 I help the grass insert into the foam easier by cutting the shortened grass to a pointed end with scissors. In this case, scissors work better than a floral knife. I then gently work the cut end into the foam, right above the outer bottom rim of the bouquet holder. 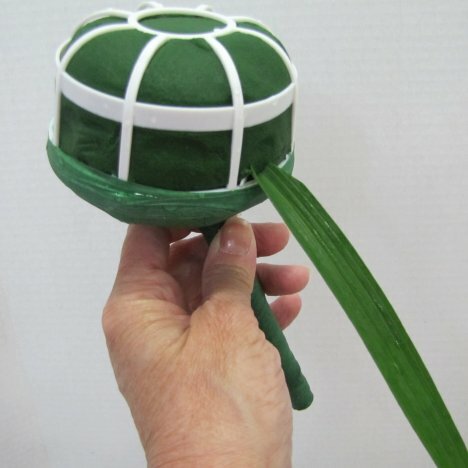 I then pull down gently, so that the grass covers over the underside of the bouquet holder.